Potomac Riverboat Company is now offering a new water taxi service on the Potomac River connecting Old Town Alexandria and National Harbor to the National Mall. The National Mall stop is located at West Basin and Ohio drives. The average trip time from Old Town Alexandria to the National Mall is approximately 30 minutes and from National Harbor to the National Mall is 45 minutes. Tickets are $14 one way or $28 round-trip for adults, and $8 O/W & $16 R/T for children. SWNA will have its monthly meeting tomorrow at Westminster Presbyterian Church (400 I Street), starting at 7pm. The meeting will include a presentation from Marjorie Lightman, Bill Zeisel, and Peter Sefton from QED Associates LLC, who will share their preliminary findings from a historic context study of Southwest that was commissioned by SWNA. The context study is a step in the process of establishing a Southwest Historic District. 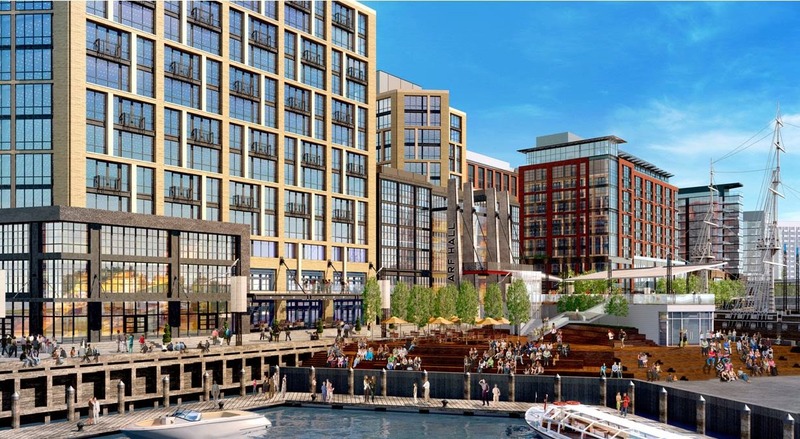 About two-thirds of The Wharf's restaurant space is under LOI, and celebrity chefs Mike Isabella, Robert Wiedemeyer, Stephen Starr, and Fabio Trabocchi are in talks for new concepts. 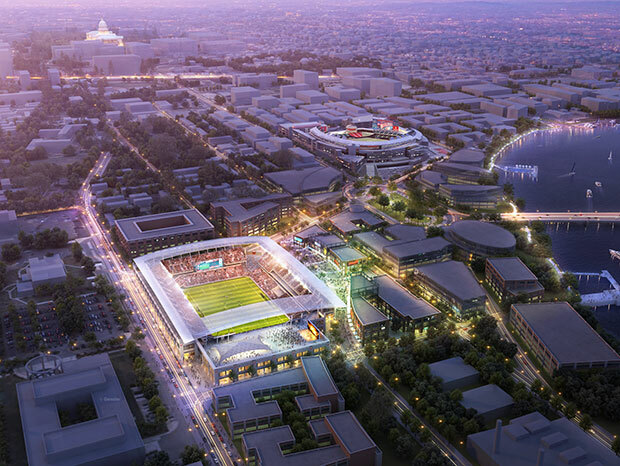 The Wharf development has the potential to create an exciting pedestrian-oriented, human-scale space along DC's Southwest Waterfront. But a federal board of artists and architects, most of whom don't live in the Washington region, is trying to make it much more boring. 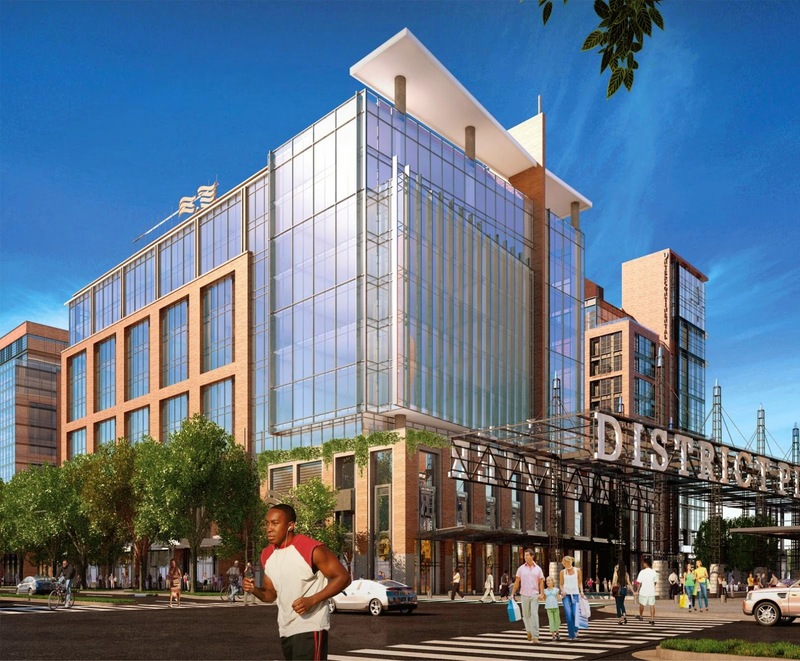 A Sheeting and Shoring permit was issued to excavate for a parking garage for the planned office building at Parcel 3 of The Wharf, according to the Washington Business Journal. The groundbreaking ceremony for the project occurred last month and a 42-month construction period is anticipated to complete phase one. The WBJ also reported that the Mary Switzer building at 4th and C streets and U.S. Department of Health and Human Services headquarters (AKA the Hubert Humphrey Building) at 4th Street and Independence Avenue will be remodeled to consolidate more HHS office space and save the GSA money over the long-term. A Hill Rag article gives a description of the history of Buzzard Point by local historian Hayden Wetzel. Apparently, Buzzard Point is one of the oldest neighborhood names in the city. This research was done as part of the application process by the Southwest Neighborhood Assembly to get the Buzzard Point Power Plant building at Half and V streets designated a historic landmark. Also in the Hill Rag, there's an article about the history of the Channel Inn and its role in the day-to-day life of several Southwesters. The hotel and its two restaurants closed at the end of March to serve as the construction office for The Wharf and a temporary home for the Capital Yacht Club. CM Wells will be moving his monthly office hours next month to the seating area in the Waterfront Station Safeway. Currently, two out of seven AppleTree Early Learning Public Charter School campuses are located in Southwest, serving nearly 80 three and four year-olds with a significant percentage of students being Southwest residents. After the end of this school year, though, both of those campuses will close. The Amidon-Bowen campus at 4th and I streets, in addition to the Riverside Baptist Church campus, located at 7th Street and Maine Avenue, will be closing. The charter school has been at Amidon-Bowen since 2008 and Riverside Baptist Church since 2005. AppleTree needs to leave Amidon-Bowen because there is demand for classroom space for DCPS children since enrollment is up at the school and Riverside Baptist Church may be redeveloped similar to St. Augustine’s Episcopal Church a block away. 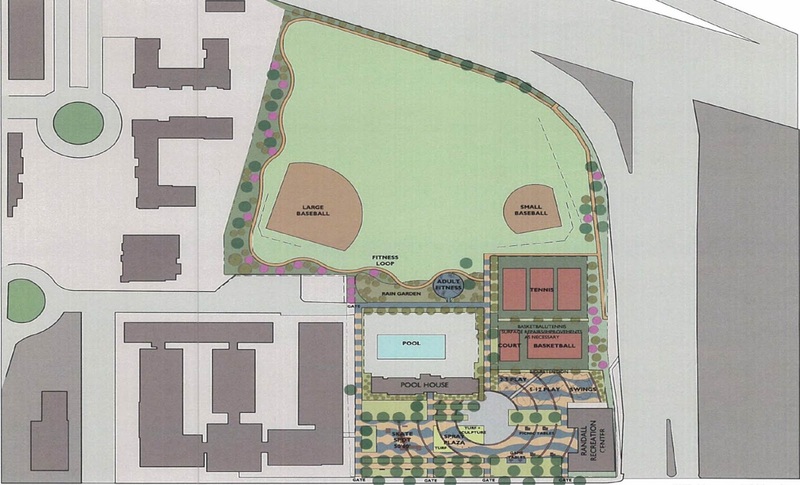 In order to help AppleTree maintain a presence in Southwest, ANC 6D Commissioner Stacy Cloyd authored a resolution to urge the District government to allow the charter school to place a temporary trailer on the abandoned tennis courts at Jefferson Academy, located across the street from Riverside. A second set of tennis courts on the northwestern part of Jefferson’s grounds at 9th and G streets were renovated in 2012 thanks to the Washington Kastles Mylar World Team Tennis organization. There would be four modular classrooms to serve up to 40 children in the trailer. There is insufficient space currently inside Jefferson to house AppleTree since the Edgewood/Brookland Family Support Collaborative is opening a satellite office in the school building. The Collaborative currently has an office at St. Augustine’s, but the church building will be closing in June to make way for The Wharf project. This trailer would be temporary, since AppleTree will be moving to The Wharf once phase one is complete in 2017. The main logistical issue is, though, that Jefferson Academy is scheduled to begin a multimillion dollar modernization in 2016, which could place AppleTree in limbo for a year between when they would need to vacate Jefferson and when they could move to The Wharf. At one point, AppleTree was considering purchasing the former Southeastern University campus building, but now the Shakespeare Theatre Company is proposing an actors' campus for that site. At the April meeting, the commissioners debated the issue and added amendments to the resolution, which would explicitly state that AppleTree would need to leave the tennis courts once Jefferson’s modernization begins and the school would need to report back to the community their exit plan for the trailers after one year. Other concerns the commissioners had about the plan included where students will be dropped off and picked up, as well as where they will recreate. Present at the meeting to support the plan were representatives from AppleTree as well as Principal Natalie Gordon from Jefferson Academy. While Principal Gordon was generally supportive of AppleTree’s plan, she expressed concern that the charter school’s presence in the tennis courts should not interfere with, or delay for any reason, the planned modernization of Jefferson. The modernization was already delayed once and Gordon does not want the project to be delayed for a second time. The resolution was passed unanimously by the commissioners. 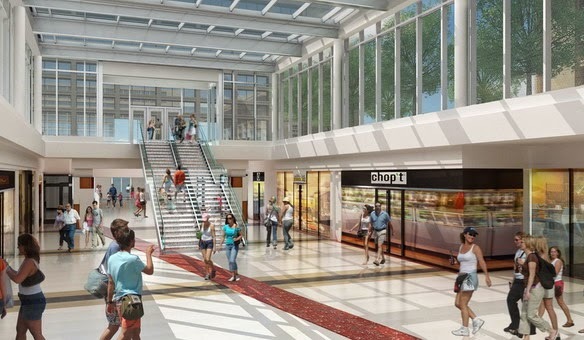 More retailers have been announced for the second phase of renovations at L’Enfant Plaza’s retail center, according to an ad taken out by The JBG Companies in the Washington Business Journal (subscribers only). These include: Amsterdam Falafelshop, Brown Bag, Charleys Philly Steaks, Church’s Chicken, Dress Barn, Elite Dry Cleaners, Italian Gourmet Deli, Naan & Beyond, Panda Express, Phillips Seafood, Red Robin’s Burger Works, Shoes by Lara, Subway, and a dentist office. Several of these retailers were already suspected of opening in the second phase in a post from last July, but the ad makes the arrival of these tenants official. Shoes by Lara is relocating from its downtown location and their tenant fit-out is underway in phase one of the retail center, while Phillips is relocating from the Southwest Waterfront. The retailers are expected to open in the summer/fall of this year. Meanwhile, Bike and Roll has opened in the ground floor of the north office building facing the plaza, which itself is transforming with the glass atrium erected and new lighting installed. The atrium will serve as the entrance to the renovated retail center. Bike and Roll relocated from the Old Post Office pavilion downtown. The L’Enfant Plaza Hotel is closed until 2015 as it is renovated (according to the hotel’s website) into “a modern and stylish version of its former self.” In addition, the north office building is under renovation. There is still some space available on the ground level of the north office building for retail, which can help active the plaza with the right kind of retailer, such as a restaurant with outdoor seating. DDOT will be hosting a series of "pop-up" meetings next week to solicit feedback on the Circulator system. One will be held at the Waterfront Metro station on Thursday, April 24 from 3:30-6:30pm. 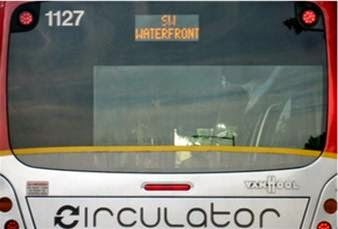 A survey to gather feedback will open April 22 on the DC Circulator website. Each participant will be entered to win a $50 SmarTrip card with a winner randomly selected after the survey closes on May 9. As a part of the Mayor's FY 2015 budget proposal, the Union Station - Navy Yard Metro Circulator line will be extended to Southwest. The third annual Running of the Chihuahuas will take place on May 3 at Gangplank Park at The Wharf (between 6th and 7th streets) from 12-3pm. The entry fee is $20 and there will be cash prizes totaling $500. Entry fees will benefit animal charities. In previous years, PAWS of Southwest was the beneficiary, but the dog park is now fully funded and should open within the next couple of months at Lansburgh Park. Be on the look out for a leash-cutting ceremony soon. Renovations continue at Amidon-Bowen Elementary. The latest improvements include new windows, which have been installed over the past couple of weeks. Other improvements that have been made over the past couple of years include a substantial interior renovation that happened two summers ago, as well as a new playground and soccer field. Currently making its world premiere at Arena Stage is Camp David, directed by Artistic Director Molly Smith and written by Lawrence Wright. Camp David tells the story of the peace talks that took place during the 13-day meeting in 1978 that President Jimmy Carter (portrayed by Richard Thomas) hosted between Israeli Prime Minister Menachem Begin (Ron Rifkin) and Egyptian President Anwar Sadat (Khaled Nabawy) at the presidential retreat, nestled in the Cacoctin Mountain Park in Maryland. Hallie Foote (who portrays Rosalynn Carter) rounds out the cast, along with U.S. Marines that make a cameo. Humor helps lighten the mood of a production that deals with a very serious topic – peace talks between Israel and Egypt, with Rosalynn Carter’s character providing the most comic relief. The turning point in the tense negotiations between Begin and Sadat is when Carter takes the pair to Gettysburg and each recite portions of Lincoln's Gettysburg Address. History buffs will especially enjoy Camp David, since TV and movie producer Gerald Rafshoon, who was White House communications director during the summit, was the producer. I thoroughly enjoyed Camp David, and recommend you see it soon. 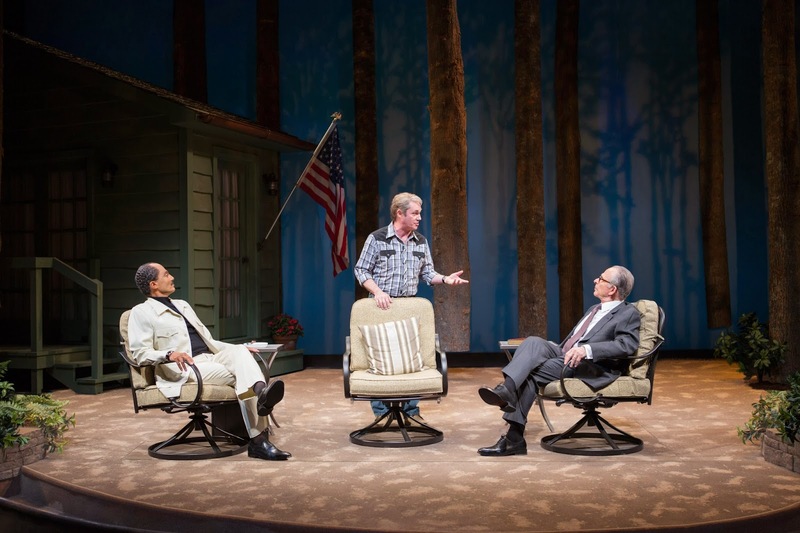 Camp David runs through May 4 in the Kreeger Theater. Tickets are available here. “They cautioned that the design continues to present unnecessary emphasis on specific moments or events within this linear urban space — using too many materials, too many elements, and too many unrelated forms — which may result in a carnivalesque character, and they suggested editing the vocabulary of design elements to create a calmer, more dignified effect,” [CFA Secretary Thomas] Luebke wrote [to DC Deputy Mayor for Planning and Economic Development Victor Hoskins]. The General Services Administration (GSA) issued a Request for Qualifications today to interested entities that can provide construction and related services in an “Exchange Consideration” for GSA’s headquarters building at 1800 F Street, NW and for up to three buildings at St. Elizabeths West for use by the Department of Homeland Security in exchange for the Cotton Annex and GSA’s National Capital Region Regional Office Building in Federal Triangle South. 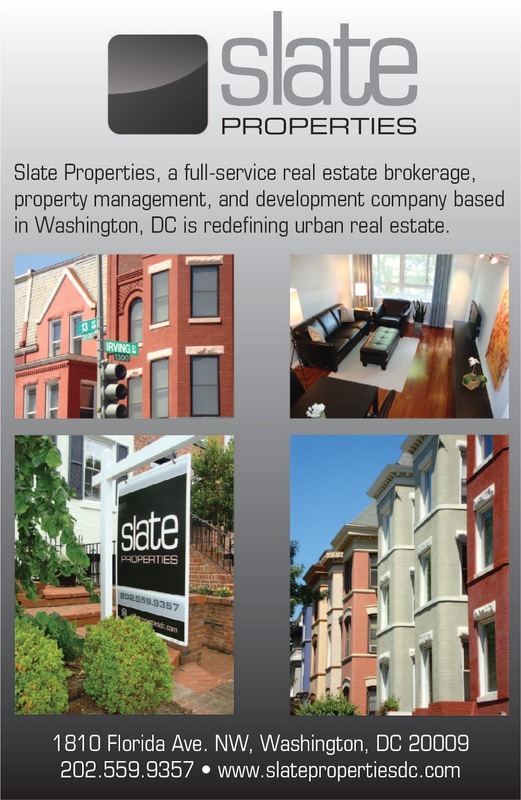 This area south of the National Mall has a concentration of GSA-owned office buildings that the agency is looking to either modernize or redevelop. The Cotton Annex is a nearly two-acre parcel located at 12th and C streets, across the street from GSA’s Central Heating and Refrigeration Plant and cattycorner from The Portals complex. According to testimony given by the GSA in 2012, the Cotton Annex was built in 1937 and was used by the Department of Agriculture until 2007, when the agency vacated the space. The parking lot behind the building has most recently been used by the Federal Protective Service to inspect packages and trucks that visit the Ronald Reagan Building International Trade Center downtown. The building was considered to house the National Health Museum and the National Women’s History Museum was interested in the vacant triangular parcel north of C Street. The six-story building is eligible for listing in the National Register of Historic Places. The second property is the GSA Regional Office Building (ROB), a three-acre facility located at 7th and D streets, across the street from HUD headquarters and L’Enfant Plaza. It is a 942,000 square-foot, seven-story office building with one level below-grade that is currently occupied by GSA. These employees would move to the F Street, NW headquarters once those renovations are complete. The rear of the ROB fronts on the L’Enfant commuter rail station and Reservation 113, both of which are recommended for improvements in NCPC’s Southwest Ecodistrict Initiative. The office building is not eligible for inclusion in the National Register of Historic Places, so any redevelopment at the site would be easier to complete. Perhaps part of the land could be used as a “Union Station South” that could be an intermodal transit station with Metro, bus, VRE, MARC, and streetcar service? 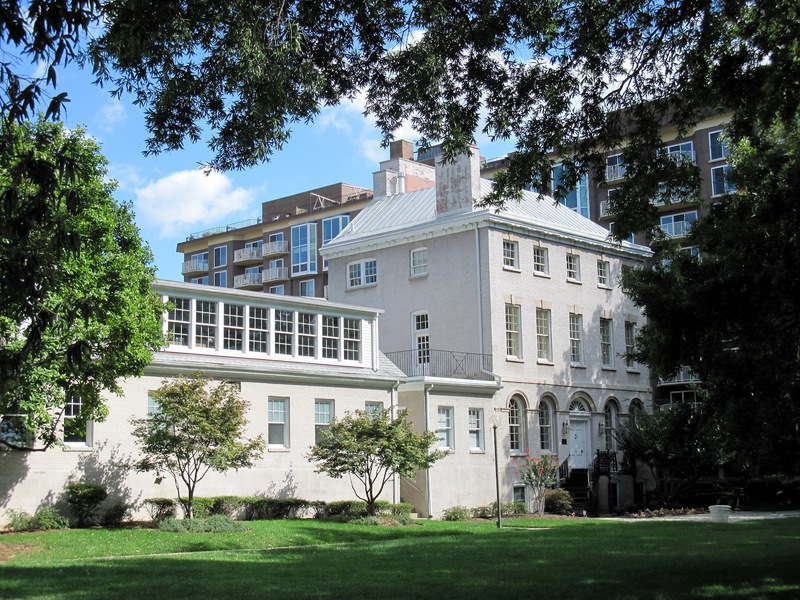 Don’t expect activity on these sites to happen anytime soon; however, renovations to the GSA Headquarters and the St. Elizabeths administration buildings must be completed before the parcels are conveyed to the winning developer in Quitclaim Deeds. Responses are due for Stage One of the solicitation by May 22. After that, those that qualify will be invited to a second stage of the solicitation to submit specific proposals. Then, a winner will be selected sometime in 2015. What uses do you envision for these two sites? It was announced this morning that Trader Joe’s has signed a letter of intent to open a 10,000 SF grocery store at The Wharf. The grocer will be located along Maine Avenue in Parcel 4A, which is the ground level of a planned mixed income apartment building. This will be the third Trader Joe’s to open in the District following the ones in the West End and the recently-opened store at 14th and U streets, NW. Currently, Safeway is the only grocery store located south of the freeway and west of the river, but by later this year, it will be joined by Harris Teeter (located in Near SE/Navy Yard/Capitol Riverfront), a Whole Foods in 2016 (also on the other side of South Capitol Street) and Trader Joe’s at The Wharf in 2017. Trader Joe’s wouldn’t have considered the area for a new store only a couple years ago, but with news of a Whole Foods and Harris Teeter coming nearby and the slew of residential construction activity, the grocer reconsidered and now wants to be on the waterfront, according to a prepared statement by a Trader Joe’s representative. While most of the retail space along the new Wharf Street at The Wharf will be reserved for restaurants, Maine Avenue was designed to contain neighborhood-oriented retail and Trader Joe’s fits the bill. In order to accommodate the grocer, DDOT is considering placing one of the planned streetcar stops that will run along Maine Avenue at the intersection of 7th Street and Maine Avenue, so the stop will be as close to the grocery store as possible. Note: Don’t forget that today is Primary Election Day in DC…and that this sentence is the only one in this post that isn’t a joke.